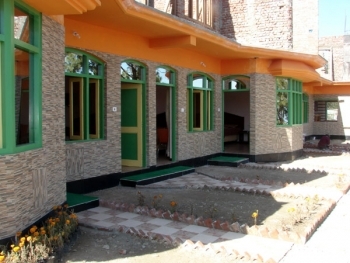 Hotel Forest Palace is newly built hotel in Jaiharikhal, which started its operation in Dec 2011. 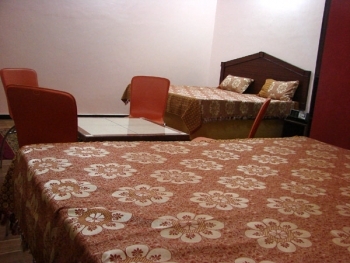 The hotel offer very neat, clean, comfortable accommodation for Lansdowne visitors. The hotel Forest Palace is located just 6 Kms from Lansdowne in Jaiharikhal. Jaiharikhal is a small village set amidst tall oaks and blue pines. Enjoying amazing views of the majestic Himalayas it an ideal place to relax and rejuvenate for those who love nature. Hotel Forest Palace serves both Veg/Non-veg Food as required by the guest and will be charged accordingly. 2 kms out of Doggada there is a T-junction. Take the LEFT turn on the PAURI road (the right turn goes to Lansdowne which is 23 kms from this point ). 15 1/2 kms from this turn one has to take a RIGHT turn for Lansdowne and Forest Palace hotel at Jaiharikhal is just 5.2 kms away.